Intuition vs. Ego, Whose Voice is In Your Head? How can I tell if I’m hearing my Intuition or my Ego? This is by far, the subject of most of the emails I receive from Powered by Intuition readers. I’m sorry to say, there is no magical solution to know whether you’re hearing your Intuition or your Ego. There is PRACTICE though. And, as we’ve all heard thousands of times, practice makes perfect. Luckily, we human beings face problems every day that provide opportunities to practice discerning the voice of our Intuition from our Egos. The basis of this problem though, is not so much that we can’t discern the voice of our Intuition from our Ego but, that we fear making a wrong decision! Here are some simple tips to distinguish the difference. 1. 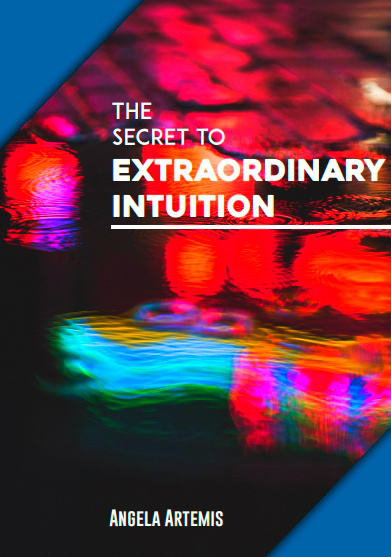 Intuition comes as a complete sense of “knowing.” The ego rationalizes to sort out a solution that is the most practical and has the greatest chance of being “right”in a logical sense. 2. Your intuition feels “complete” and “whole.” The ego’s response leaves you wondering and unsure. It seems more like what you wish to hear or should say, rather than what is really true. 3. Your intuition feels “weighty” like the truth. In contrast, when your ego responds it seems rather hollow and contrived. Say, you’re looking to change jobs. You’ve been offered jobs at two separate companies. The first job pays less and is at a smaller company, farther away from home but, you really like the people you met there. Everyone seemed so relaxed and actually looked like they were having fun. The second job was closer to home and would save you an hour of commuting time per day, pays more compared to the first job but, you felt uncomfortable in the interview. You couldn’t be yourself. The people you met in the second round of interviews at this company seemed rigid, uptight and frankly, kind of impressed with themselves. You come home, strip off your business attire, relax and with your eyes closed check in with yourself. I really liked the first company and the people were really genuinely nice. I know I’d have fun going to work there but, it’s farther, a much smaller company, less well known, less prestigious, probably not as good for my career in the long run and it pays much less! I’d probably like the people at the second company just as well once I really got to know them…. Can you tell that your intuition was speaking in the first part of the response when you checked in with yourself? And, that in the second part your ego was talking? Straight away you heard: “I really liked the first company.” You didn’t question this at all did you? You just “knew” you liked it, right? It was a “whole” and “complete” reaction. You didn’t follow it up with questions at all. The truth was that “the people were genuinely nice” too, right? You start off with saying, “BUT.” That’s your first clue that this is your ego speaking. When something is whole and complete you don’t need “buts,” or further statements of clarification. In this case you follow the first part with a whole string of what you think are “rational, practical and logical” reasons for taking the second job. You try to talk yourself into it by saying, “I’d probably get to like the people there after I got to know them.” This seems rather “hollow and contrived” doesn’t it. You have to be aware of your priorities, which is why you’re changing jobs in the first place. If your first priority is working at a more prestigious company, career growth and opportunity and making more money because you need it or just because you desire it (there’s nothing wrong with wanting to make more money) then you would take the second job and make the best of it. You would probably end up being fairly happy because the priorities you satisfied would outweigh the lack of excitement and fun at this job—at least for a while until the need to be happy started to rear its ugly head again. If your priorities were to be happy, enjoy going to work and having fun, and you could live decently on that salary, you would take the second job. It’s really up to you. Usually, where we get turned around is when we are afraid that we’ll suffer the consequences of making a wrong decision. Making mistakes is where we learn life’s greatest lessons and gain wisdom. We will never be right 100 percent of the time. No one is. We must simply do the best we can at all times. The worst thing is to not make decisions or procrastinate because you’re afraid. The longer you procrastinate the more you prolong your agony. My friend Farnoosh Brock from Prolific Living has an awesome article on procrastination. I urge you to read it. Face your fear and make a decision. 99.999 percent of the time our decisions are not life or death. What is the worst thing that can happen? Don’t bet the farm! If your dream is to quit your job and start your own business. Don’t do it unless you have a financial safety net. Make a plan. Save money. Set a date to work towards. Work in the evenings setting up your business until you quit. If you quiver and shake over the thought of quitting your job and fear not having a steady source of income – you’re not ready. Don’t focus on being wrong. Look at it as an opportunity to practice with your intuition. If you do this often enough you will not only learn to distinguish between your Intuition and Ego but, you’ll also learn to face your fears and make decisions. If you continue to struggle, please do contact me for an intuitive session where I can help you discern the difference between the voice of your Intuition and that of your Ego. What decisions are you facing now? Are you struggling between your Intuition and Ego to make a choice about a relationship, a career move, a move geographically or to follow your dream? Share your dilemma with us in the comments where we can address it. If you enjoyed this article please share it on Facebook, Twitter and G+1. 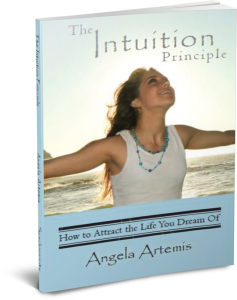 Thank you so much for helping to get the word out about Powered by Intuition. I appreciate your support. P.S. Have you subscribed to my Newsletter yet? If not, subscribe so you won’t miss any of my updates and receive my free 47 page book, “The Intuition Primer. 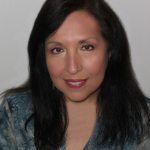 Practical Lessons to Launch Your Intuition” and start sharpening your intuition. One thing that concerns me is that now as I’ve got to make a decision, there are days when I feel totally right about decision 1 – I know for sure what I should do. Then, in several days I get a bad feeling about this decision coupled with a negative deja vu about it. If circumstances will keep on changing this way, I won’t ever make a decision. I understand that when one is in a negative state of mind, then no matter what form the information comes in or what you’re focusing on, it will be negative. And vice versa for happy moods. What’s going on, what would be useful for me to do? Another idea I have is that I shouldn’t be focusing on “receiving answers”, but instead creating them, creating the outcomes no matter what I feel about them. Being persistent and patient with being the kind of person and doing the kind of things that will bring me to the outcome of my desire. I believe we create our reality with every emotion and thought we think so yes, you should be working on envisioning the kind of reality you want. Focus on what you want. Feel the emotions you’d feel if you had the kind of life you desire. I recently consulted my Tarot cards about a new apartment I had been offered. It was the opposite of what I had asked for in every aspect but it was the best they could offer me ‘given my financial situation’. So I consulted the cards, hoping that my emotions wouldn’t cloud my judgement. I got 4 of Swords, Knight of Pentacles and The Lovers. Kind of hard for me to know the meaning there, but I knew that this decision was not ‘Right vs. Wrong’ or black and white. Our ego wants thing to be black and white, doesn’t it? Our intuition is not about the RIGHT CHOICE, but the knowledge that it is OUR choice. 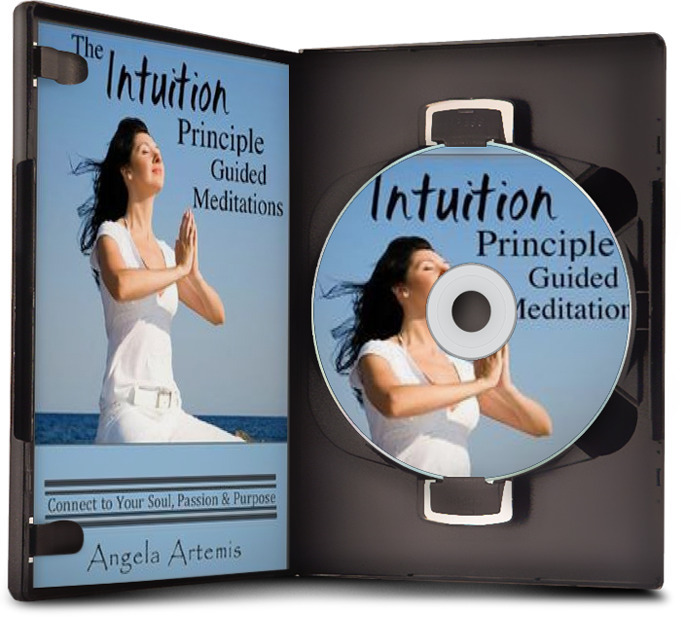 Hi Angela — I’m grateful for how you point out the distinction between the usual thinking we do and intuition — paying close attention to that distinction, no matter where we are or what we happen to be doing, I think, can have many of the benefits of meditating. For me, intuition occurs as spontaneous and not obviously related to what I was just thinking about, and thinking is associated with subtle tension in the head and in other parts of the body. I have been practicing discernment between intuition and ego lately without noticing it. Your article revealed this side of my journey. Looking back at the past month or so, I am beginning to have more clarity as to how to follow my intuition. There were many occasions when I just did not think or tried to be logical with my decision. I just went with the feelings. If it felt good and ok, I will do it. It could be in very simple things like whether to run now or run later. Or whether I should click on this blogger’s post. I just stopped allowing myself to think too much. All I did was asked if it feels ok. If it does, I will just do it. Does this sound like following my intuition? BTW have you seen Fred Tracy’s interview on my site. Do check it out. Its most eye opening. I”m glad you’re having more clarity now understanding your intuition. What you described as following if you “feel good” when you do something is one of the best ways to know whether you’re following your intuition or your rational mind. This is a very simplistic explanation because we can’t say that “everything” that feels good means we are following our intuition. But, generally yes, if you get the feeling you’re “supposed to do something” that’s your mind speaking. Intuition is not a thought and generally comes through as what we’d describe as a “feeling” when compared to rational thought. Thank you so much for asking such an interesting question. It’s always a pleasure to have you visit. We all hear that voice in our head and sometimes we follow it and it leads to something and other times it leads to nothing. It’s hard to tell the difference sometimes. Thanks for clarifying the differences and the great analogy. It is hard to tell the difference. I’m glad I could clarify things for you. I truly appreciate having you visit. Thanks Angela for the excellent definitions. I love how you say there is no right or wrong. It took me a long time to learn that one. I always ask myself… is this for the higher good. That usually answers my questions about ego. You’re so welcome. I’m glad you found the post useful. I think it’s good for people to know that some that they may not be able to follow their intuition every time. It’s okay! Like I said, there is no right or wrong. I like that you ask yourself if this is for the higher good. That should make it all quite clear as well. Angela, this is just excellent. I’ve shared this on my fanpage on FB, and will refer people to it. There’s no way I’ll explain it better than you did. It’s so difficult to discern when our intuition is talking, until we get some practice. For me, it comes down to the feeling. If it feels like love, it’s intuition. If it feels like doubt, worry, fear, it’s the ego. But again, you explained it perfectly. Thank you so much for sharing. I truly appreciate very much. Feeling is “key” – you’re so right about that! Thank you again for visiting and commenting. It’s a pleasure having you here. For me this is a perplexing subject. I am however seeing the ‘situation’more clearly. Thank you. I hope the article has helped making intuition vs. ego less perplexing for you David! Thank you so much for visiting and commenting. It’s funny that you use an example because I had a similar decision to make recently. I got offered an identical job at two different locations. One was closer to home and one was farther away. I had a GREAT interview with the one closer to home and I really like the people there. The problem was that I was only going to get one day a week to work max! The job farther we would have much more of a working opportunity, even though the interview was fairly cold and machinelike. I eventually chose the job that was farther away, simply because I’ll be living in the city soon and I need the money right now more than anything else. I’m slightly worried because my intuition seem to say to choose the one closer to home. We’ll see how it turns out though. Really? So, you’re saying your intuition, or gut, was drawn to take the job closer to home, why? Was it because you felt more comfortable in that job and “liked” it better overall? It will provide a livable wage right away. Good reason. You don’t plan to stay at this job forever so it’s okay that it doesn’t suit you to a “T.” Good reason. I do think we have to be practical and logical too and I’d say you made a fine decision! I think it was perhaps my mind that actually wanted to stay closer to home anyway. I probably had a small amount of fear about going into a work environment when I wouldn’t know what it would be like. The one closer to home was simply safer, not more intuitively aligned. I know what you mean.It always feels safer to stay close to home. I think you’re going in the right direction! Loved this! I can understand why this is a popular question that you are asked a lot. I’ve gone back and forth on the question of “is this intuition or ego” many times. I also like how you suggest to check our inner response against our priorities to help clarify. I’ve found that when I waver between is this intuition and should I take this path… it is a fear of making a wrong decision that I won’t be able to change right away and have to live with the consequences of that decision. Somewhere along the way it became not okay to make the wrong choice – and I’ve been unlearning this for a little while now. I do think it may take longer to unlearn these habits, then it was to learn them. Another killer post Girl, You’re on fire! That’s it exactly. We fear we won’t be able to “undo” what we chose to do if we’re unhappy. I think it’s hard to overcome the fear of making a mistake though. I’m not immune to this either. The higher the stakes the more we over-think and worry about our decision. Rosemarie, the previous commenter asked me to come up with a solution in the form of a meditation to “know” whether we are making the right decision or not. I’m putting my “thinking cap” for that one. Soounds familiar…the struggle. It is difficult to know when you are making the right decision. Don’t you also find that you can rationalize yourself into thinking you are making the right decision even if it is not the right one. I’m guessiong you’ll say you should always go with the one that “feels” right, but I think we also convince ourselves that whatever decision we make “feels” right. Can you share in another post a good mediation to help sort out the real feeling from the rationalized one? It is a familiar struggle to so many. I struggle as well. The big lesson I’ve learned is not to cave into fear. Fear is what drives the Ego. When we rationalize into thinking we’re making the right decision we are allowing fears to lead us in our decisions. It’s a deception craftily pulled off by the Ego to protect it (us) from lack or harm or even death. Thank you for the suggestion on a post about a meditation that will help us recognize the difference in the two voices. Oooo, a very good post Angela! Easy as 1,2,3… literally! This will be helpful for many because I think it’s a very common dilemma. I love that: As easy as one, two, three! Yes, the easier and less complicated the better, right? Thank you! Strange, just few days ago someone asked me the same question, how to distinguish ego from intuition. Now I can refer the person to another great answer, thanks! Thank you Nathan! You are very generous and I appreciate it very much. This is an issue that I struggle with at times. I used to over-analyze things much more than I do now, but still there are times when it decision making is a little to processed. I guess there are just certain issues where I tend to be more critical or practical, and this requires problem solving and decision making. Other times, decisions are a no brainer and it feels completely right and is invigorating. I have learned that when I follow the later conditions my decision is much more gratify and fulfilling. I need to learn to do this more often. I understand about the critical thinking. We definitely need to use both the rational mind and our intuition when making decisions. But, if we find ourselves feeling deflated or unexcited about the choices we’ve made too often then we need to begin following our intuition more. All work and no play – you know what they say! Our intuition can lead us to unexpected people and places that will inspire us and reinvigorate our lives, if we let it. Thanks Joe. It’s great seeing you! I’m so glad you’re listening to your intuition more. I understand about the fear that you might “offend” someone. That’s part of our growing process too. We must honor our intuition and follow where it leads. When we allow ourselves to be sidetracked too often by deferring to others, we eventually lose the connection to our intuition and our life feels meaningless. Thank you so much for visiting and for sharing this post. I truly appreciate it! The more we practice, the more we can distinguish the two, absolutely. Sometimes we can just know and feel that one direction is the way to go – even if we don’t know yet the “how” or even the “why.” If it feels promising and exciting and gets our enthusiam up, especially when it’s not something we would normally have thought of if we made a list (using our logical mind), but rather something that sneaks in there and says,”Try this,” that’s intuition. Usually when something new feels promising in spite of everything we have to learn or do for the first time in order to get there, that’s a good sign. You’ve give us a very “Clear Sign” and so true! Superb!And yes, we don’t need to know the how and the why. That’s for the rational mind to take on. Our intuition’s job is to inspire us to follow the path that will lead us to blossom into our full potential. I love how you’ve described the way intuition “sneaks in there and says, Try this.” Thank you so much for sharing your wisdom with us. I’ll check out your link! This has been my number one struggle as I work to develop my psychic and intuitive abilities. I am very much an “in my head” type of person and my ego voice seems to have a microphone while my intuitive voice seems to have a case of laryngitis. From the example you provided it seems like the intuitive voice has more feeling and emotion attached to it, I guess I would describe it as having a more all inclusive wholeness to it. You’re not alone. The Ego is always much louder while the Intuitive voice feels like a whisper. You’re right though. Intuition is a complete feeling of knowing, while Ego is a sequence of rationalizations. It’s such a pleasure having you share your comments. Thank you!